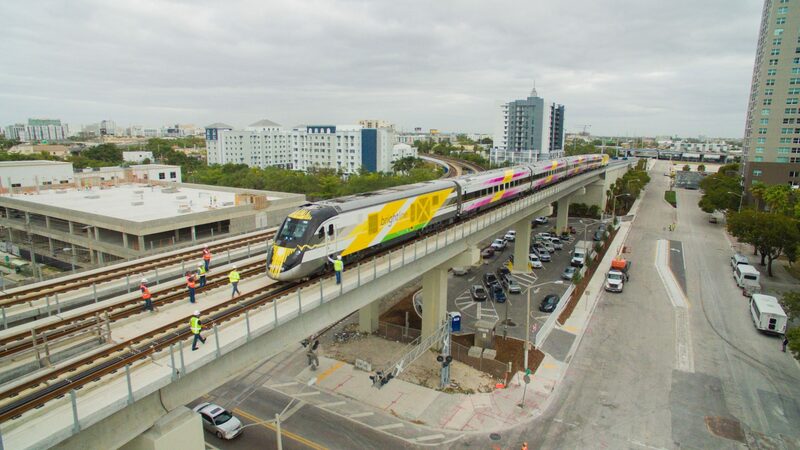 At 07:00 on Saturday May 19, the first Brightline train service will depart West Palm Beach for Miami Central station. 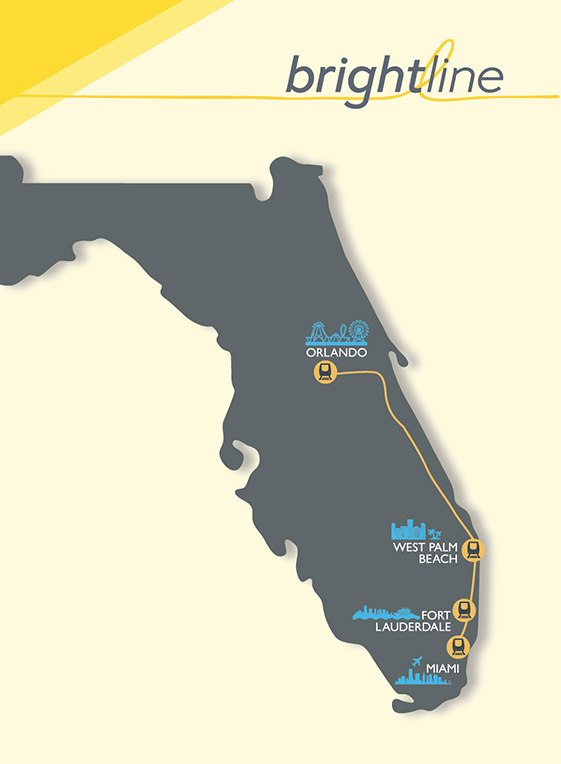 Stopping at Fort Lauderdale on route, the highly-anticipated inaugural service will arrive in Miami at 08:20 and mark the latest milestone for the United States’ first privately-owned train service since the 1980s – which launched back in January. The first return service will depart Miami Central at 09:10 and arrive in West Palm Beach at 10:30 – not that there isn’t a reason to stay at the 11-acre intermodal site that the elevated station sits on, with a packed programme of events planned at the station for the service’s first weekend. 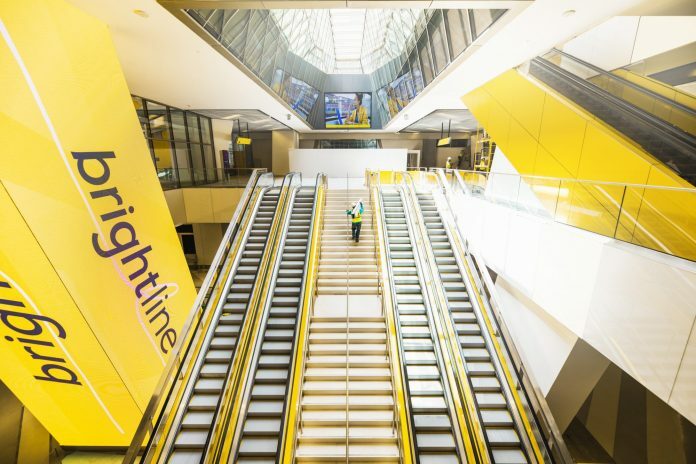 Brightline will initially operate eight services per day in both directions charging between $3-$5 for the first weekend. The train company says there will also be complimentary parking and no added fees, such as checked baggage, as part of the launch. Brightline CEO Patrick Goddard said: “South Florida has a vibrant economy and unique lifestyle – yet some of the nation’s worst traffic. “We are making an unprecedented investment in Florida and the benefits can been seen today through job creation and the launch of Brightline and Miami Central. Miami Central station was built by Suffolk Construction and designed by Skidmore, Owings & Merrill with the help of Zyscovich. Next on the agenda for Brightline is the expansion to Orlando International Airport. While much of the work at the station is complete, no opening date for this section has yet been set. Brightline trains are very nice and yes the whole network isn’t electrified but these trains could be operated on Hydrogen rather than on diesel or possibly running on both diesel and hydrogen. Without the need to electrify the network. Unless there are plans to electrify the network and introduce new electric trains that will be operated on and to replace the current diesel fleets.